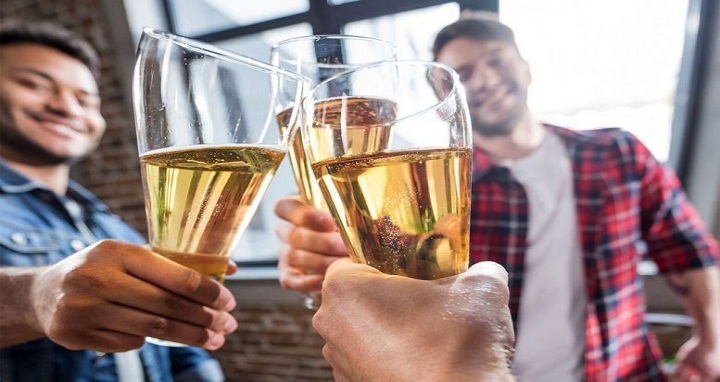 Dhaka, 9 September, Abnews: Many men suffering from advanced-stage prostate cancer appear to share at least one thing in common: they are now or have been heavy drinkers of beer, according to a study by uro-oncologist Pierre Karakiewicz, a professor of urological surgery at UdeM’s Faculty of Medicine. The study, published in Cancer Epidemiology, found a link between the occurrence of advanced-stage prostate cancer and a heavy intake of beer over a lifetime. Specifically, the study determined that drinking more than 63 beers a year over a period of 30 to 45 years increased the risk of developing advanced-stage prostate cancer by 37 to 46 per cent, depending on the quantity consumed. The study is based on a sample of 3,927 men living in Greater Montreal, with an average age of 64 years. One of the unique characteristics of this study is that it is population-based, giving added relevance to the association between alcohol intake and the development of prostate cancer, particularly for men with the heaviest alcohol consumption. Karakiewicz and his colleagues Marie-Elise Parent and Claire Demoury first identified all the cases of men diagnosed with prostate cancer in the Greater Montreal area between 2005 and 2009. A total of 1,933 men with this type of cancer took part in the study, representing 80 per cent of the cases diagnosed in Montreal. Since this was a “case-control” study, another 1,994 men from Montreal who did not have cancer were selected as the control group. In-person interviews were conducted with each of the participants. They were asked about their lifestyle, diet, physical activity, and alcohol consumption habits, including the quantities and types of alcohol consumed over their lifetime. Overall, the researchers found no significant association between heavy consumption of all types of alcohol and prostate cancer. However, the results were very different in the case of heavy drinkers of beer. “Men in the upper quartile of beer consumption (over 63 drinks per year over several decades) had a 40% increased risk of advanced prostate cancer compared to the control group,” said Karakiewicz, who is director of the Cancer Prognostics and Health Outcomes Unit at the University of Montreal Health Center (CHUM). Men whose beer consumption was slightly above average did not see an increase in their risk of developing prostate cancer. It’s only when the daily quantity of beer consumed reaches a certain threshold that the risk starts to rise. “For example, our model shows that for a man who starts drinking at the age of 18 and drinks more than two beers every day, the risk of a high-grade prostate cancer appears at the age of 65. If he drinks more than three beers a day, the risk emerges at 50 years of age,” Karakiewicz explained. “At least one out of five participants in the study consumed beer at levels above what is considered safe,” he added. Given that the cumulative consumption of beer over a lifetime appears to be a predictor of disease, he believes that it should be taken into account by physicians and urologists when seeing patients. The researchers have not yet been able to clearly identify the mechanism responsible for the greater risk of advanced prostate cancer in heavy beer drinkers specifically. “We know that acetaldehyde, the first metabolite of ethanol, which is released by alcohol, is a carcinogenic that can promote cancer development by different mechanisms, including interference with DNA replication,” said Karakiewicz. Other hypotheses point to the possibility that high alcohol consumption can cause folate deficiency (vitamin B) or lead to immunosuppression that may facilitate the spread of tumours. The overall findings of this study underscore the importance, in his view, of taking into account alcohol consumption, particularly beer intake, when screening patients for prostate cancer.